The Voice Season 8 returns with two-night Grand Finale episode on Monday and Tuesday! 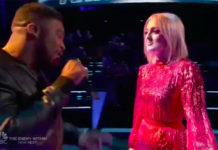 The Top 4 finalists including Sawyer Fredericks, Koryn Hawthorne, Meghan Linsey and Joshua Davis are on their final journey in winning The Voice 2015 competition! 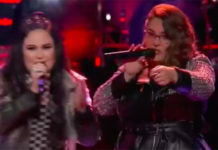 The remaining Top 4 artists will sing three songs each for the live performance show on Monday — a fan’s choice, an original song, and a duet with their respective coach. 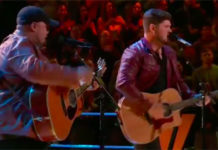 Tuesday, the show will feature performances from Maroon 5, Ed Sheeran, Kelly Clarkson, Meghan Trainor, Luke Bryan, John Fogerty, and Sheryl Crow. Then, the Voice Season 8 Grand Winner will be announced at the end of the Live Results show. Don’t miss the Grand Final episodes of The The Voice 2015 on Monday (May 18) and Tuesday (May 19) at 8/7c on NBC. Follow the links above for performance videos and judges comments! Join us tomorrow in the Live Results! Previous articleDancing With The Stars Season 20 Winner: Noah Galloway, Rumer Willis or Riker Lynch?